The overarching themes of Edgar Allan Poe’s life is that his all-too-brief span on this earth was tragic and unhappy and his towering literary genius went mostly unrecognized until after his death. His parents were itinerant actors. He was born in Boston on January 19, 1809, because that’s where his parents happened to be working at the time. His father abandoned the family when Edgar was small and his mother died of consumption at the age of twenty-four. Edgar, his brother and his sister were then placed in separate foster homes. Edgar ended up in the home of one John Allan and his wife Frances of Richmond, Virginia. John Allan had inherited wealth but was parsimonious with his young foster son, whom he never bothered to adopt legally. Edgar and John Allan most likely would have killed each other gladly if they could have managed it without being detected. Edgar Allan Poe seemed destined from the beginning to never find his place in life. He was, to put it mildly, not like anybody else. At a time when most people must have stayed in one place all their lives out of necessity, Edgar moved around a lot. He spent a few years of his childhood in England with his foster family, which probably accounts for the European “feel” of some of his writing. As a young man, he attended college at the University of Virginia in Richmond, but John Allan wouldn’t give him enough money to live decently, so he ran up gambling debts, further infuriating Mr. Allan. He tried the army and did better than one might have expected, but when he ended up at West Point Military Academy after his military stint, he lasted only a few months before being expelled. So, Edgar was a talented misfit. He made a little money from his published stories and poems but never enough. He moved around from place to place, never gaining wide acceptance in the literary world, although there were a few who recognized his uniqueness. (The most fame he would ever achieve during his own lifetime was with his poem The Raven, which is, arguably the most famous poem in American literature.) He had several ill-fated romances with different women, but they didn’t really work out either the way he had hoped. At the age of twenty-seven, he married his thirteen-year-old cousin, Virginia Clemm, and lived with her and her mother (or they lived with him) until Virginia herself died of consumption at the age of twenty-four, exactly as Poe’s mother had. Are we able to see now the pattern of his life? Poe-Land by J. W. Ocker is an exploration of Poe’s life (a sort of travelogue/biography) through all the places he lived or at least spent some time. Besides Boston, these places include Providence, Rhode Island; the Bronx and Manhattan in New York; Great Britain; Baltimore; Richmond, Virginia; Philadelphia; Fort Moultrie on Sullivan’s Island in South Carolina; Fort Independence in Massachusetts and Fort Monroe in Virginia. One of the ironies of Poe is that, however he might have been dismissed during his own life as a no-talent crackpot, almost any place he ever lived or even spent some time is today almost a sacred site or a tourist attraction. Anything Poe ever touched or anybody he ever knew is today of interest because of his association. The New England states abound with Poe sites or museums, including places he lived or worked and places that he somehow signified with his presence, no matter how briefly. Poe fans are legion all over the world, some of them to the point of obsession. Of course, one of the things that makes him so interesting is his death in Baltimore at the too-young age of forty, on October 7, 1849, of unknown or mysterious causes. He was found, apparently desperately ill, and admitted to a Baltimore hospital, where he died in a delirious state after several days. His attending physician became a sort of celebrity but never seemed to be able to cast any light on the cause of Poe’s death, changing his story as it seemed to fit the circumstances. One of the many interesting details I learned about the life and death of Edgar Allan Poe from reading Poe-Land is that, when he died, he was placed in an undistinguished grave toward the back of Westminster Cemetery in Baltimore. Within twenty-five years of his death, his literary stature had grown to the point where people began to realize that his grave wasn’t as good as it should be, so his body was exhumed and he was moved to a more prominent place in the cemetery with a much more showy headstone, which still stands today. After twenty-five years in a wooden box in the Maryland earth, there wasn’t much left of dear old Edgar except for bones, hair and clothing. Chunks of his decayed original coffin became coveted collectors’ items and are on display in Poe museums today. The story of Poe’s life is enough to make you wish in an afterlife so that he might know what became of his literary “legacy” after he died. Today he is probably the most famous of American writers and is almost universally recognized and loved throughout the world. Not only did he practically invent a new literary genre, that of the detective story, but he found a new way of writing poetry, quite unlike anything that had ever been done before. All we see or seem is but a dream within a dream. 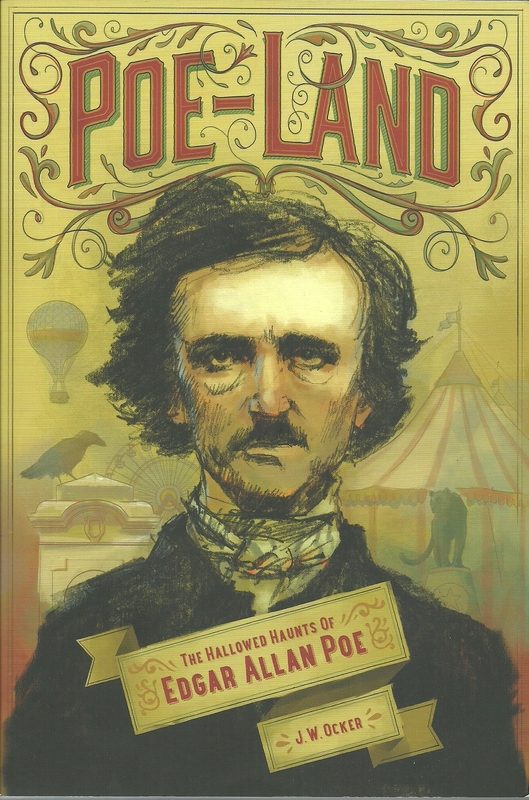 Posted in Uncategorized and tagged a capsule book review, Allen Kopp, Poe-Land. Bookmark the permalink.